NEW YORK McDonald's (MCD) says it's cutting the Angus burger from its menu. 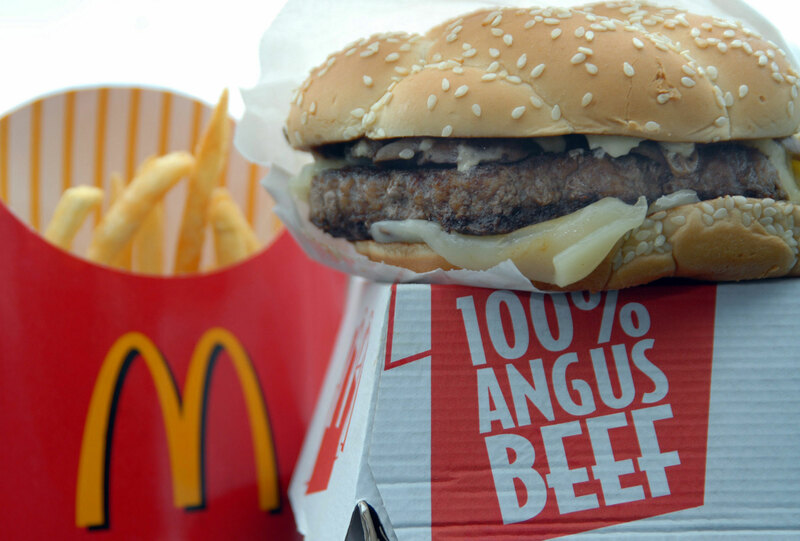 The Oak Brook, Ill.-based chain had said earlier this year that it was evaluating whether to continue selling the Angus Third Pounders, which were introduced in 2009. The company also said at the time that it was it was cutting Chicken Selects and Fruit & Walnut Salad. The changes come as McDonald's looks to keep up with shifting tastes, even as it underscores the affordability of its food. Notably, the Angus burgers were among the chain's priciest items. But Richard Adams, a consultant for McDonald's franchisees, noted that the Dollar Menu has also made the Angus burger a less attractive option at around $4 to $5. McDonald's did not immediately say whether the burgers and snack wraps remained available in some restaurants. But at a McDonald's in a Detroit suburb, the menu noted this week that they were no longer being sold. The burgers and snack wraps were still listed on the menu section of McDonald's website on Thursday. In a bid to attract more customers in their 20s and 30s who are looking for fresher options, McDonald's recently added chicken McWraps to its core menu. According to an internal company memo obtained by Ad Age, the chain referred to the wraps as a "Subway buster'' that would keep customers from heading to the sandwich chain. Additionally, the chain now offers a version of its Egg McMuffins made with egg whites and a whole-grain muffin. Customers are able to substitute egg whites into any breakfast sandwich. McDonald's isn't the only chain trying to refresh its menu. Burger King, Taco Bell and Wendy's have also been rolling out new items aimed at improving the image of their food. But traditional fast-food chains are trying to evolve in a tough economic climate, where they're also catering to price-conscious customers.